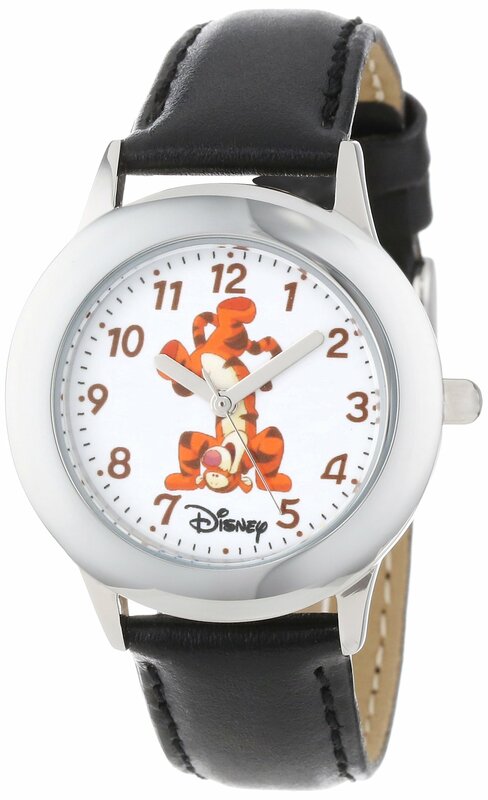 Round Stainless Steel Watch with Disney’s Tigger character on dial. Keep track of time with this officially licensed Disney Stainless Steel Tween Watch by Ewatchfactory on your wrist. The timepiece displays artwork from your favorite Disney character on the face, and is designed with labeled “hour” and “minute” hands to help young ones learn how to tell time. This classic watch has a polished and matte steel finish and a precision Japan movement for accurate time keeping and a 1 year manufacturer warranty. Yes ill wait till price hopefully comes down but looks like a very nice birthday ir Christmas gift. Possibly a tad expensive, but a cute little gift for that young person with an upcoming birthday. I cannot see you going wrong with this product.